Life Below Zero� is an American 60 minute documentary nature television series, which kicked off on May 19, 2013, on National Geographic Channel and is broadcast every Tuesday at 21:00. The show is currently in its 11th season. National Geographic Channel is yet to announce the renewal of Life Below Zero� for Season 12 as well as its cancelation. Sign up to track down the show's status and its release date. 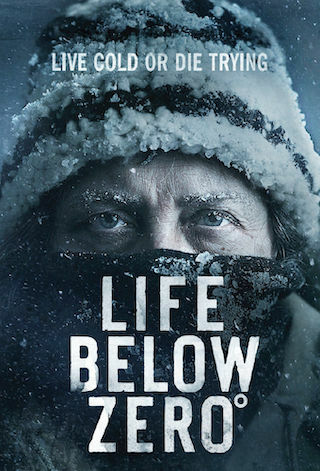 Life Below Zero° follows seven people as they battle for the most basic necessities in the state with the lowest population density in the United States. Living at the ends of the world's loneliest roads and subsisting off the rugged Alaskan bush, they battle whiteout snow storms, man-eating carnivores, questionable frozen terrain, and limited resources through a long and bitter winter. Some of them are lone wolves; others have their families beside them. All must overcome despairing odds to brave the wild and survive through to the spring. Only the mentally fit will be able to endure the extreme test of isolation and endless work required to survive the many months of winter in the Alaska bush.